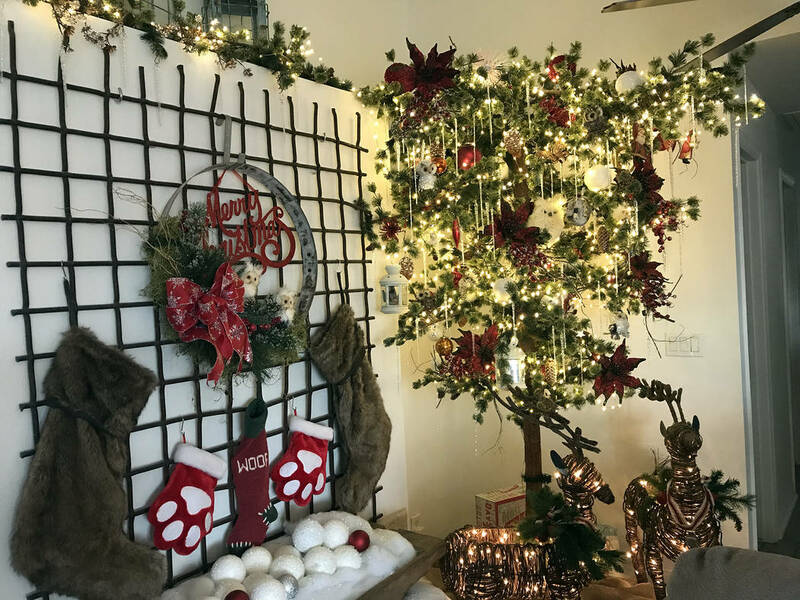 1 HOME FOR THE HOLIDAYS: Five homes, decked out in their holiday finest, will be featured on the American Association of University Women’s annual home tour. The tour is scheduled from 1-4 p.m. Saturday, Dec. 8. Tickets are $15 and can be purchased at the Boulder Dam Hotel, 1305 Arizona St.; Boulder City Chamber of Commerce, 495 Nevada Way; or from any Boulder City branch of AAUW member. (Hali Bernstein Saylor/Boulder City Review) Trish and Bob Delk's home will be featured on the American Association of University Women, Boulder City Branch, annual home tour, which is scheduled for Saturday, Dec. 8, 2018. The home's decor has an outdoorsy theme, with this upside down Christmas tree adorned with owls and Santas greeting visitors as they enter the home. Children of all ages will delight in Nevada Southern Railway's annual Santa Train, where they can visit with Santa as they ride along the rails. 2 CHRISTMAS CONCERT: Red Mountain Choir will present “‘Twas the Night” at 7 p.m. Friday and Saturday, Dec. 7 and 8, at the Elaine K. Smith Building, 700 Wyoming St. The singers will be accompanied by a variety of musicians as well as the Martha P. King Singers from the elementary school. Tickets are $10 for adults and can be purchased at the Boulder City Chamber of Commerce, 465 Nevada Way, or at the door. 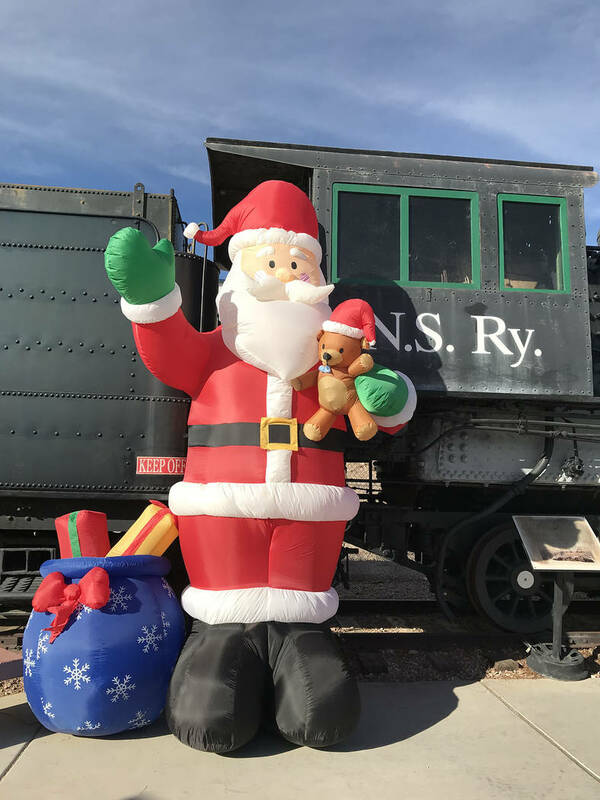 3 GET ON BOARD: Join Santa Claus and friends when the Friends of Southern Nevada Railway host their annual Santa Train at the Nevada State Railroad Museum, 601 Yucca St. Trains run on Saturdays and Sundays, with departures hourly from 10 a.m. to 3 p.m. Tickets must be purchased in advance by visiting http://bit.ly/2rd0lUb.